One of the most common criminal charges college students face, particularly in Massachusetts is the crime of shoplifting. The courts in Boston see a significant number of these cases. The last thing a college student can afford is having a criminal record so effective, experienced legal representation is a necessity. Our office has been defending college students for nearly three decades. We have managed to get countless shoplifting cases dismissed and we have made sure that our clients have left the courthouse without having a criminal record. Successfully defending college students charged with shoplifting is something in which we take great pride. Shoplifting is a form of theft. To prove someone guilty of this crime the district attorney needs to show that the merchandise was taken away, or concealed with the intention of taking it away from a merchant. 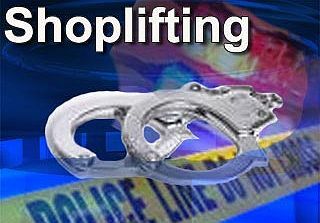 Altering price tags or switching merchandise from a more expensive container to a less expensive one to avoid paying the actual price is considered shoplifting in Massachusetts. Taking shopping carts out of stores is also considered shoplifting. The punishment for a shoplifting conviction ranges from a nominal fine to potential jail time depending on the amount of goods stolen and whether the accused has any prior convictions for this crime. The bottom line is this: you don’t want to have a shoplifting conviction on your record. For first time offenders your lawyer should be able to resolve this case in your favor. You should not have a criminal record if you are properly represented. Massachusetts law permits merchants victimized by shoplifters to sue for damages and to recover a fine of up to $500 (five hundred dollars). Merchants routinely take advantage of this law by hiring law firms to send out demand letters requesting payment of the fine (usually the $500) in exchange for not filing suit. This is tantamount to a scam. I have had countless clients come into my office and tell me that they already paid the fine believing that they would not be charged criminally. This is a big mistake. The fine does not exonerate you criminally. Instead, you will often be required to make restitution or pay court costs in addition to that fine. The demand letters pertaining to the fines are worded in ways that mislead you and make you believe that the case will be over if you make payment. Before you send anyone a payment make sure you consult with a lawyer. This fine can be negotiated down and at times wiped out entirely. Moreover, most district attorneys are cognizant of these fines. If you did in fact make payment prior to being charged criminally make you tell this to your lawyer. Some prosecutors take this into account in coming to an agreement on resolving your case. Loss prevention personnel are notorious for violating people’s rights and forcing confessions to shoplifting regardless of guilt or innocence. Because loss prevention personnel are not considered government agents formal laws pertaining to confessions and the questioning of shoplifting suspects are not applied. Never speak with a loss prevention person. Most importantly, don’t sign anything they put in front of you. These people have limited training and their ethics are suspect. They are cop wannabees and they can be dangerous. The Law Offices of Stephen Neyman, PC has been defending these cases for twenty-eight years. Call us at 617-263-6800 or send us an email if you have been charged with a crime. We can help you.